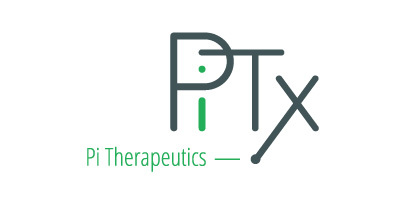 Pi Therapeutics is a discovery-stage biopharmaceutical company aiming to develop a novel cancer drug. The company is financed by a syndicate of Takeda Pharmaceutical Company through its venture group Takeda Ventures Inc., Johnson & Johnson Innovation – JJDC, OrbiMed Israel Partners, Pontifax, and the Israel Innovation Authority, and has operated since March 2015 in the FutuRx biotech accelerator in Ness Ziona, Israel. The company’s mission is to develop novel first-in-class drugs directed against the ubiquitin-proteasome system (UPS), mainly for treatment of cancer. The ubiquitin proteasome system (UPS) is an essential regulator of key cellular processes, tightly controlling protein degradation and turnover. Inhibition of the UPS may be achieved through interference with the functions of multiple protein targets including the proteasome, p97, ubiquitin conjugating enzymes, and deubiquitinating enzymes (DUBs). Of these, only catalytic proteasome inhibitors (PIs) are approved drugs. Inhibition of the UPS by PIs has been established as a highly effective treatment for multiple myeloma (MM), and the PI Bortezomib (Velcade) is also approved for treatment of mantle cell lymphoma (MCL). Limitations of PIs include the inevitable emergence of resistance in MM, apparent lack of efficacy in solid tumors, and significant adverse effects. We believe that a non-catalytic UPS inhibitor with distinct mechanism of action may overcome these limitations, serving as a novel treatment for PI-resistant MM as well as for solid tumors. Thus, we are developing a series of small molecule UPS inhibitors acting through a novel mechanism of action. Our compounds, the first of which was in-licensed from Johns Hopkins University, have shown promising in-vivo efficacy in an animal model of MM as well as ex-vivo efficacy in primary tumor samples from MM patients. We intend to develop our inhibitors for PI-resistant MM and solid tumor indications. Despite recent therapeutic advances, MM remains incurable, and although many patients live in remission for years, all patients ultimately relapse. Recently approved drugs, including Pomalyst (pomalidomide) and Kyprolis (carfilzomib), are beginning to prolong survival, but patients are becoming refractory to these drugs. New agents including oral PI ixazomib and the monoclonal antibodies Empliciti (Elotuzumab) and Darzalex (daratumumab) are expected to further address the unmet need; however, patients are expected to relapse on these novel therapies as well. 16 years of industry experience in drug discovery and translational research. Previous positions: Head of Discovery and Director of Translational Research at Karyopharm Therapeutics, Director of Computer-Aided Drug Discovery at Epix Pharmaceuticals. 14 years of experience in planning and executing laboratory experiments, data management and analysis. Previous positions: Senior Researcher and post-doctoral fellow at the Weizmann Institute of Science, Project Manager in a medical device company specializing in oncology. PhD in Molecular Genetics, Weizmann Institute of Science. Previous positions: R&D team member at Alomon Labs, post-doctoral fellow at Weizmann Institute of Science. Previous positions: Director of Preclinical in-vitro Unit at Pharmaseed LTD, post-doctoral fellow at Weizmann Institute of Science. Dr. Richard Roden is a Professor of Pathology, Gynecology and Obstetrics, and Oncology at the Johns Hopkins University School of Medicine. He co-directs the Johns Hopkins Kimmel Cancer Center’s Cancer Prevention and Control Program. His research focuses on the pathology of cervical and ovarian cancer. Dr. Goldberg is Professor of Cell Biology at Harvard Medical School. His important discoveries have concerned the biochemical mechanisms and physiological regulation of protein breakdown in cells and the importance of this process in human disease. He and his colleagues first introduced PIs, and he initiated the development of Velcade, now widely used in the treatment of MM, and coined the term ‘proteasome’. Dr. Goldberg is among the 1% most cited authors in the life sciences.